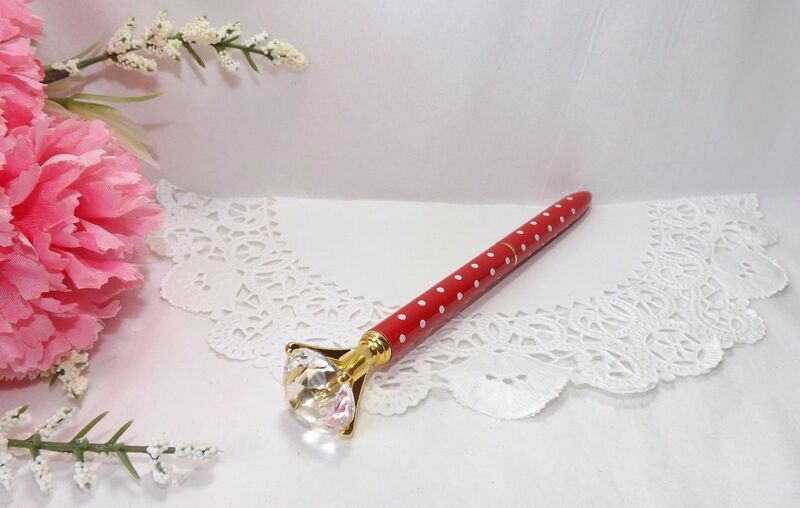 Add a whole lot of bling and polka to your stationery collection with this gorgeous ‘diamond rock’ topped ballpoint pen. This beautiful crystal pen will be the highlight of your desk! These pens have a 1.0mm writing point with black ink.